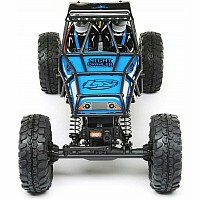 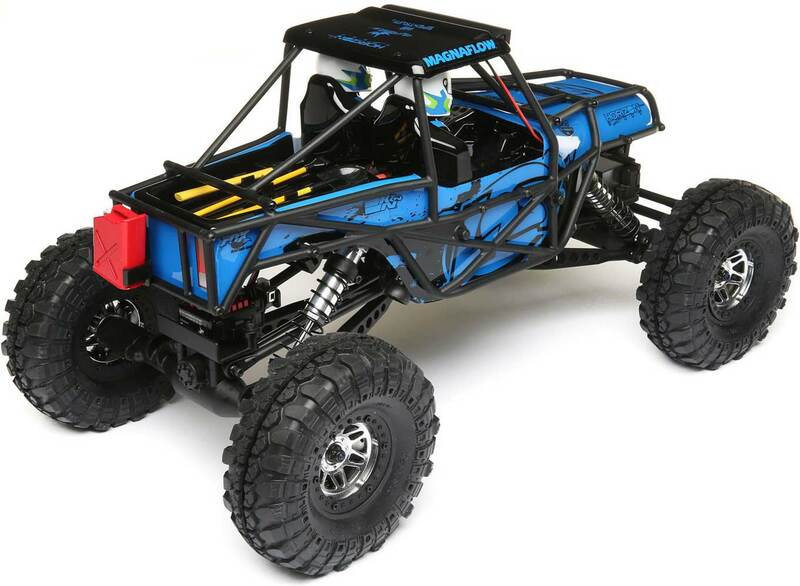 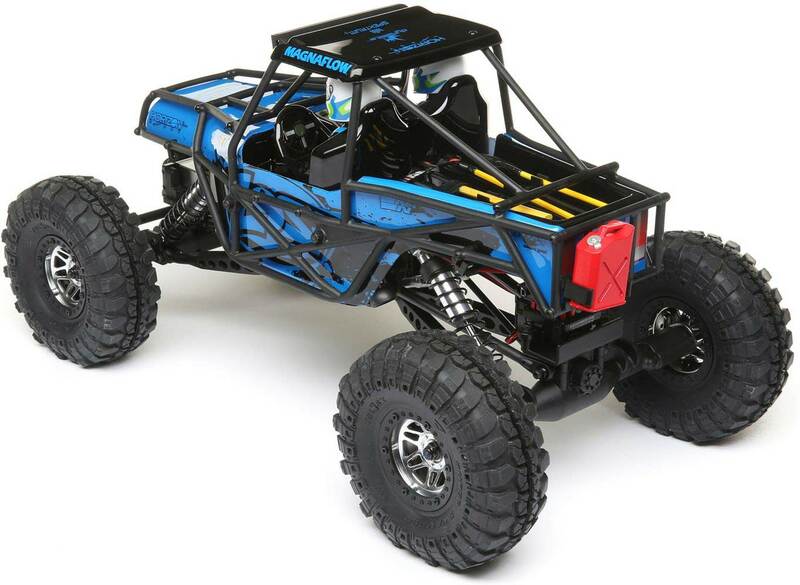 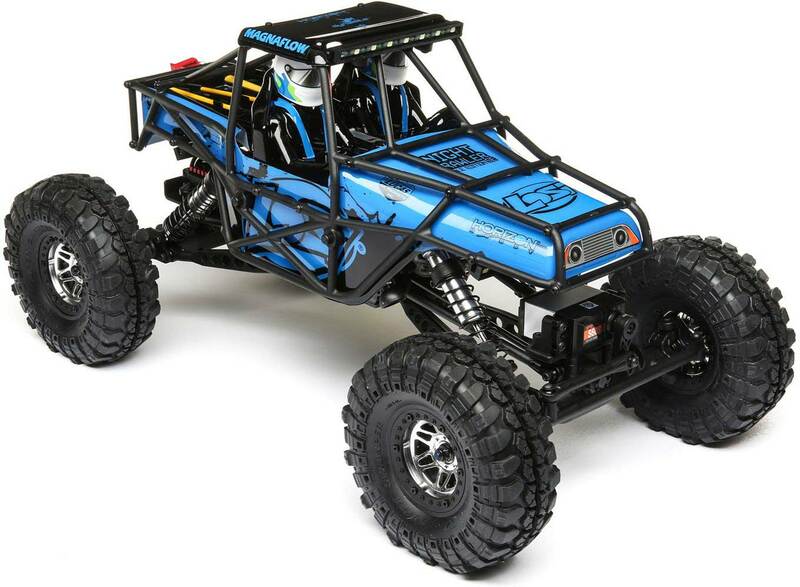 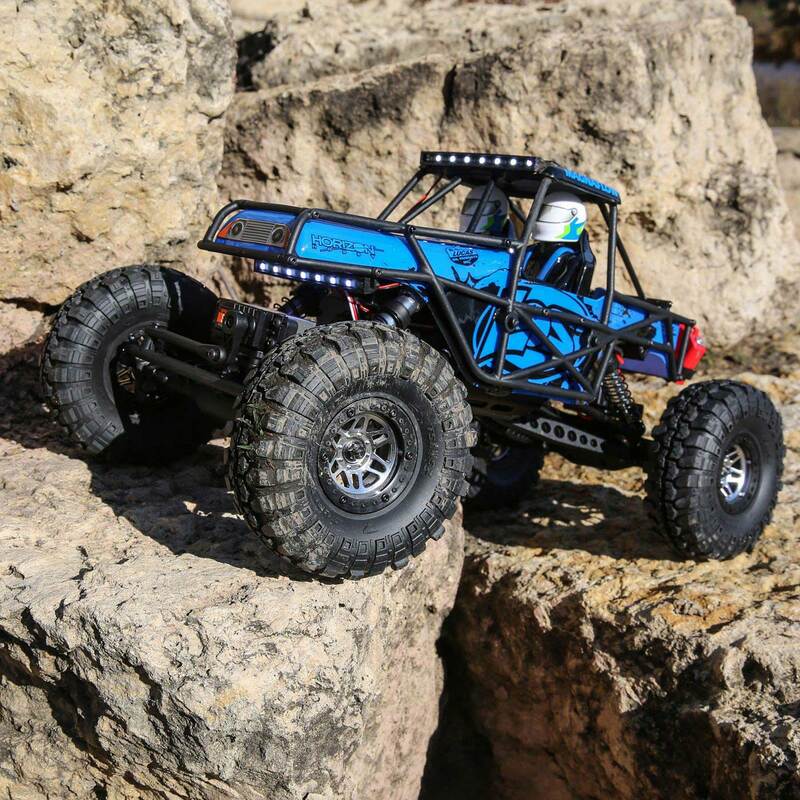 If you love scale crawling and night driving, the Losi Night Crawler SE RTR will rock your world. 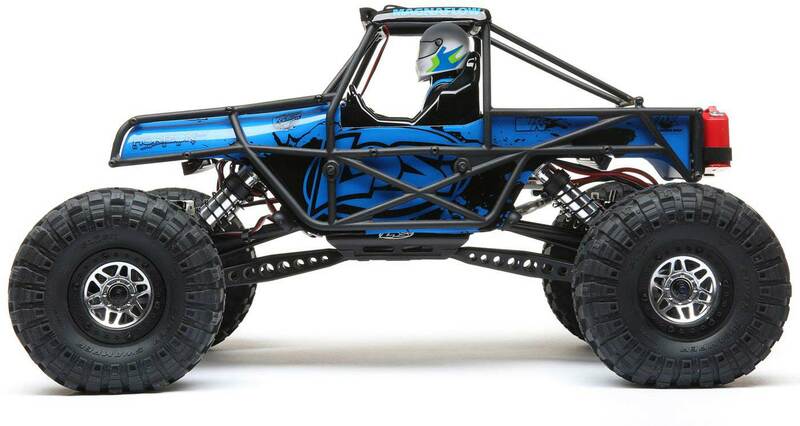 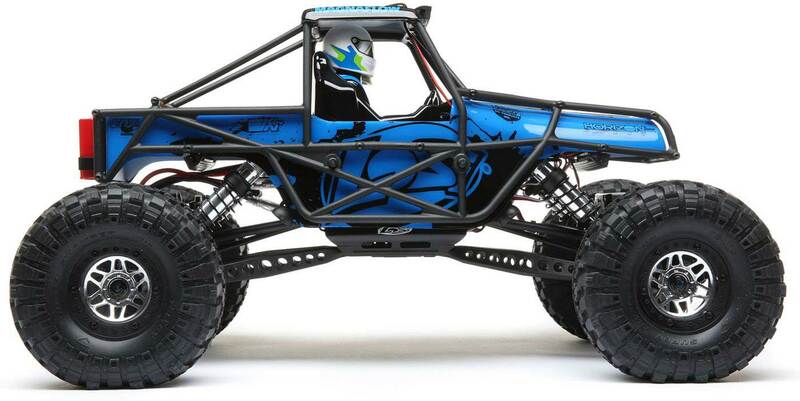 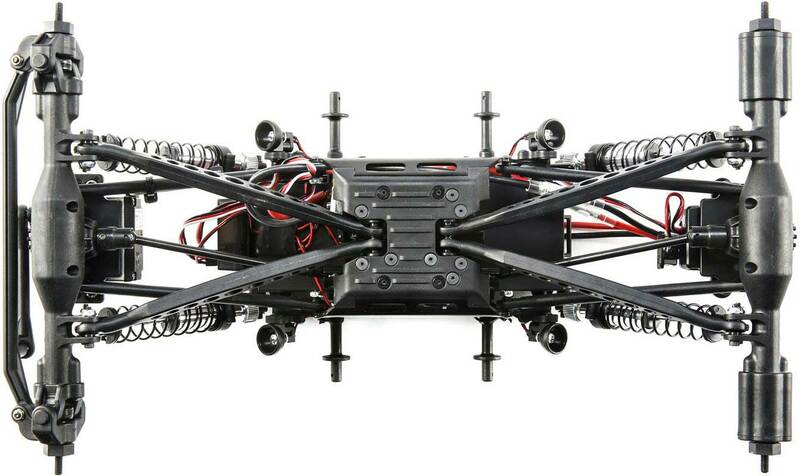 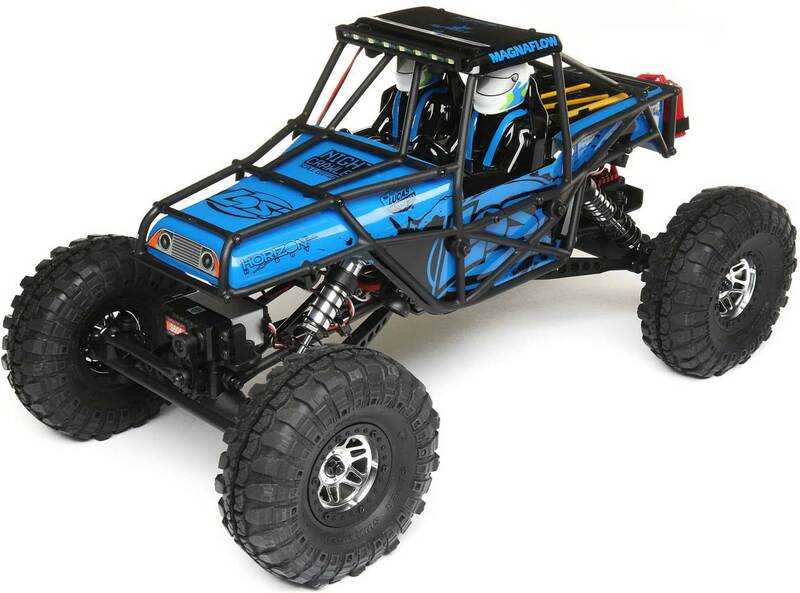 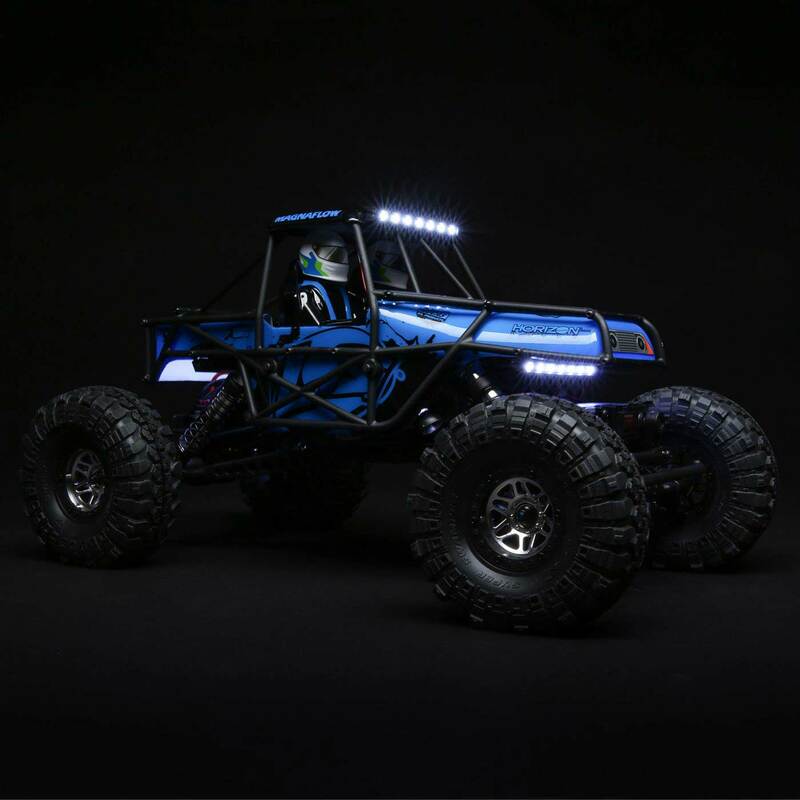 It's built on the proven Losi Night Crawler heritage, but offers more lights and a new Exoskeleton cage. 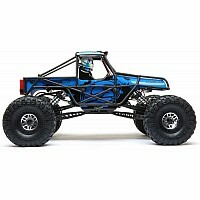 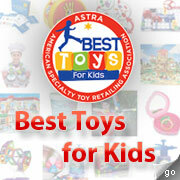 The cage and body provide impressive scale details without compromising performance or durability. Additional front and rear rock lights will make it easier to see obstacles in your path and brighter LED light strips will further light the way. 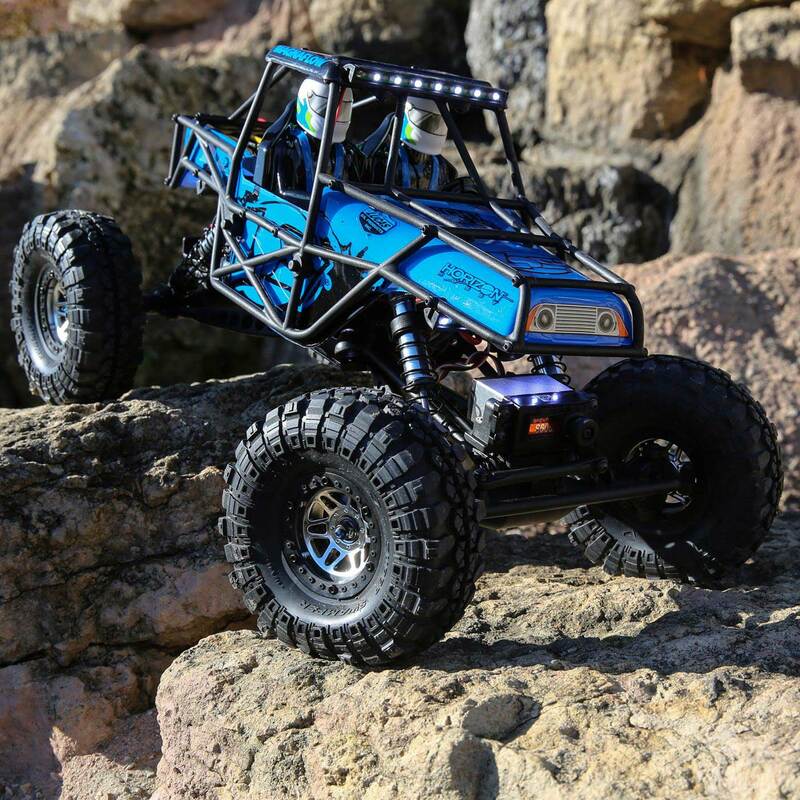 This crawler feels most at home on rocky terrain-the rougher, the better-and it doesn't shy away from mud or water, either. 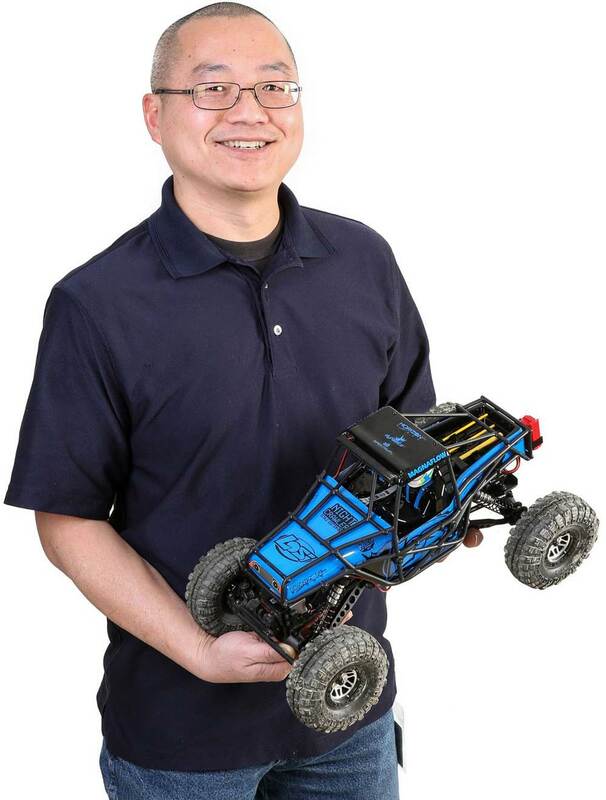 Needed to Complete 7.2V 3300mAh NiMH or 7.4V 5000mAh LiPo Battery Pack with EC3 Connector Compatible Battery Charger with an EC3 connector What's in the box? 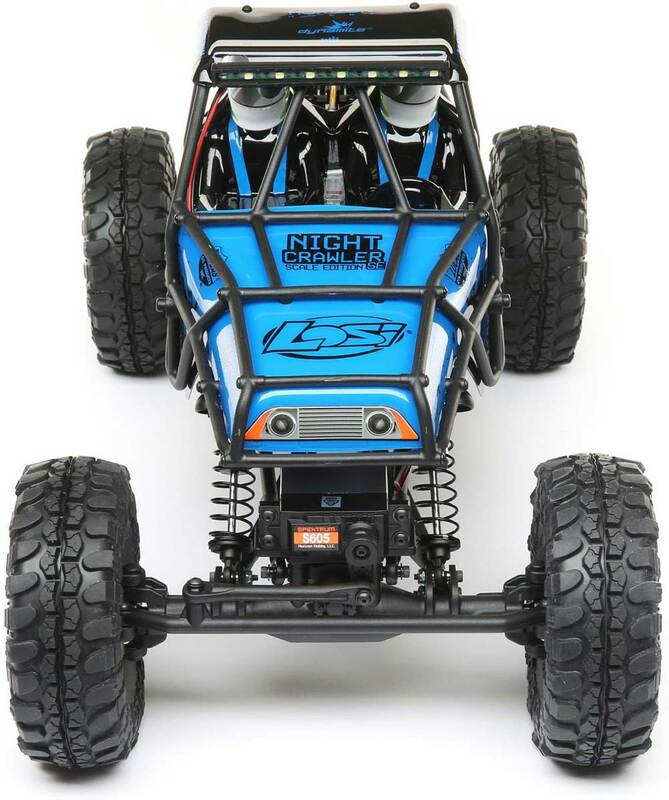 (1) Losi Night Crawler SE RTR (1) Spektrum STX2 2CH 2.4GHz FHSS Transmitter (SPMSTX200) (1) Spektrum SRX200 2CH 2.4GHz FHSS Receiver (SPMSRX200) (1) Spektrum 9KG 23T Waterproof Servo (SPMS605) (1) Dynamite 60A FWD/REV Brushed ESC (DYNS2210) (1) Dynamite 35T 540 Brushed Motor (DYNS1216) (4) AA Batteries (1) User Manual Exoskeleton Cage and Body The Night Crawler SE features an authentic scale body with an Exoskeleton cage that protects the crawler in the harshest conditions and provides scale detail without compromising performance. 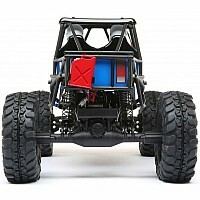 Detailed Driver Insert A driver insert enhances the scale appearance of the vehicle. 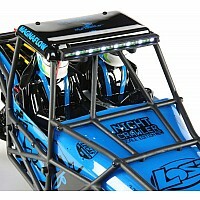 LED Light Bar and Rock Lights Front And Rear Additional rock lights light up the trail so you can drive into the night. 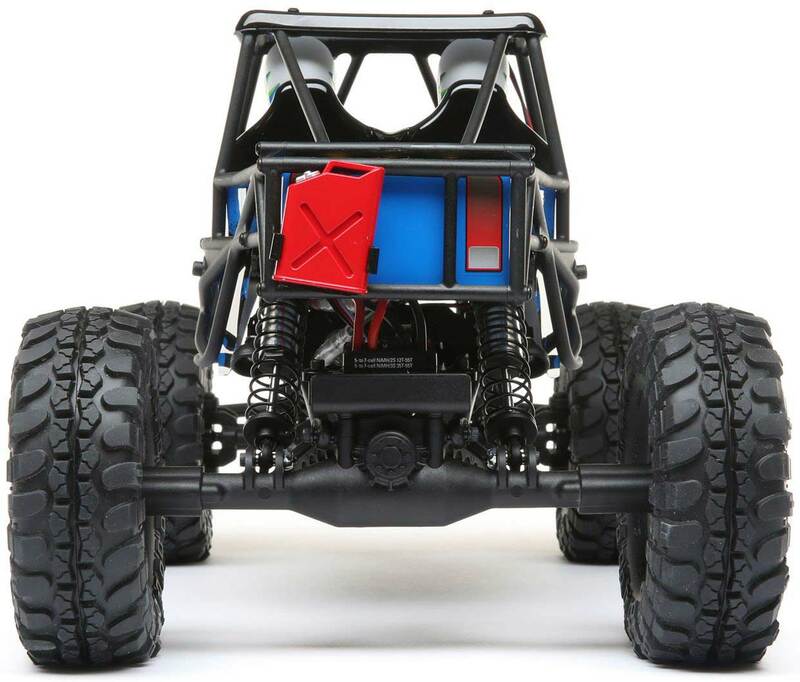 Scale Accessories The scale accessories-including a pick, gas can, and shovel-add to this rock crawler's realistic looks. 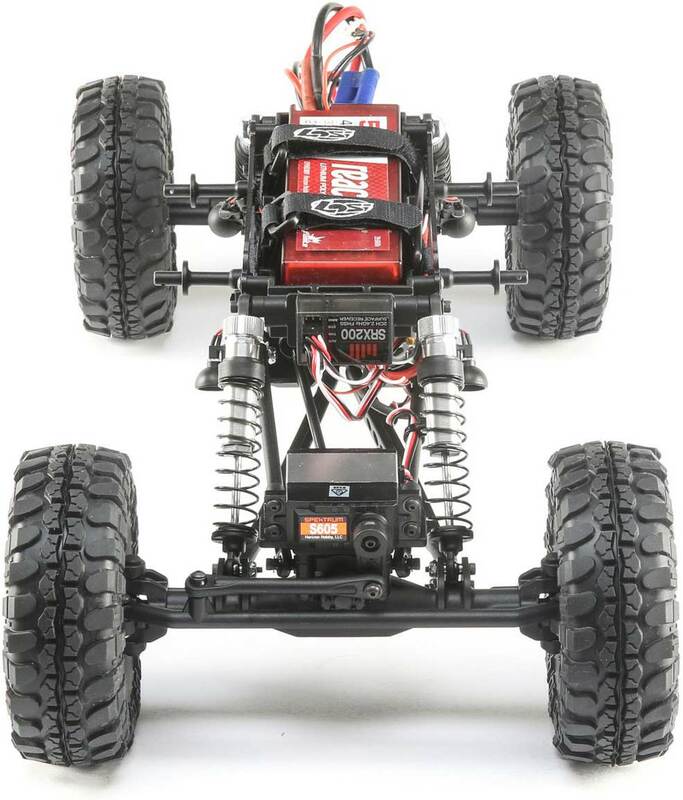 Front and Rear Solid Axles with HD 21T Worm Drive The worm gear acts as a break when no power is supplied. 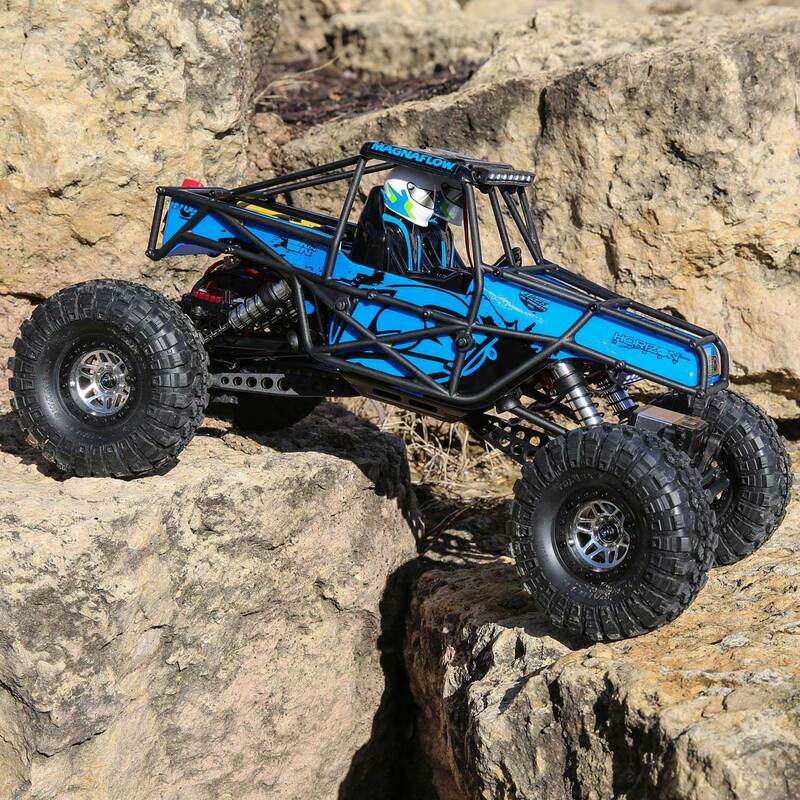 When power is supplied, axle torque is optimized so the vehicle won't be thrown off-balance while climbing. 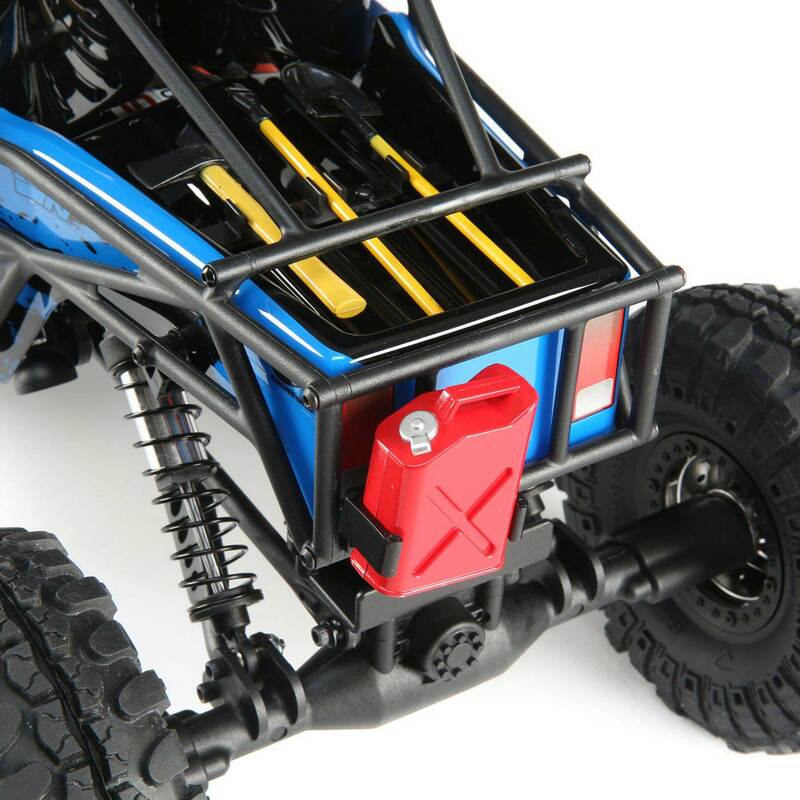 A small gear assembly provides extra ground clearance beneath the axle housing. 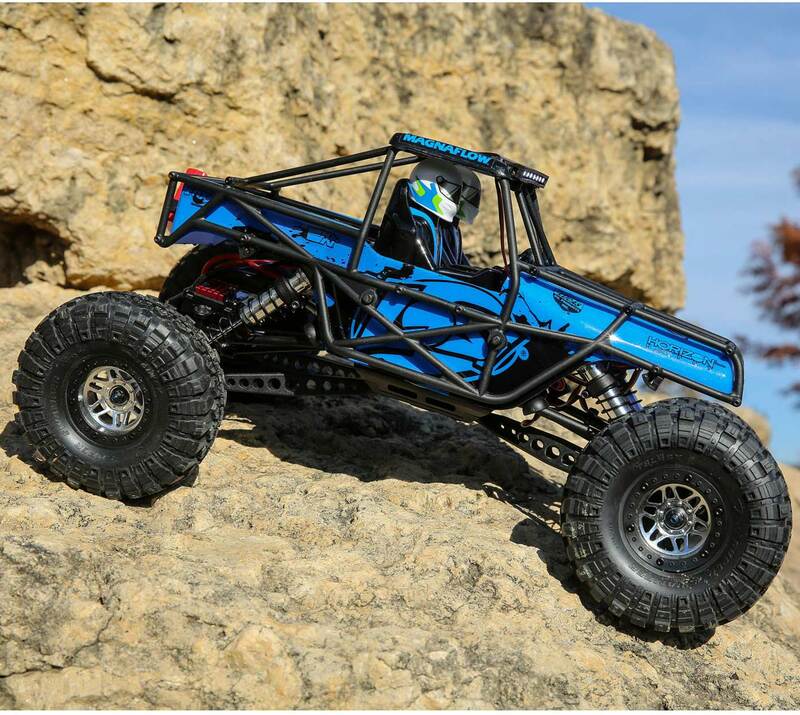 All-Metal CV Front Axle and Center Driveshafts Aluminum front axle and center driveshaft provide superior durability and help to handle the strenuous driving associated with rock crawling. 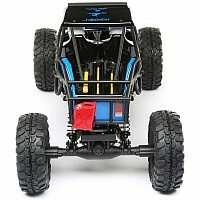 This provides the edge over competitors that use plastic joints and eliminates the need for extensive upgrades. 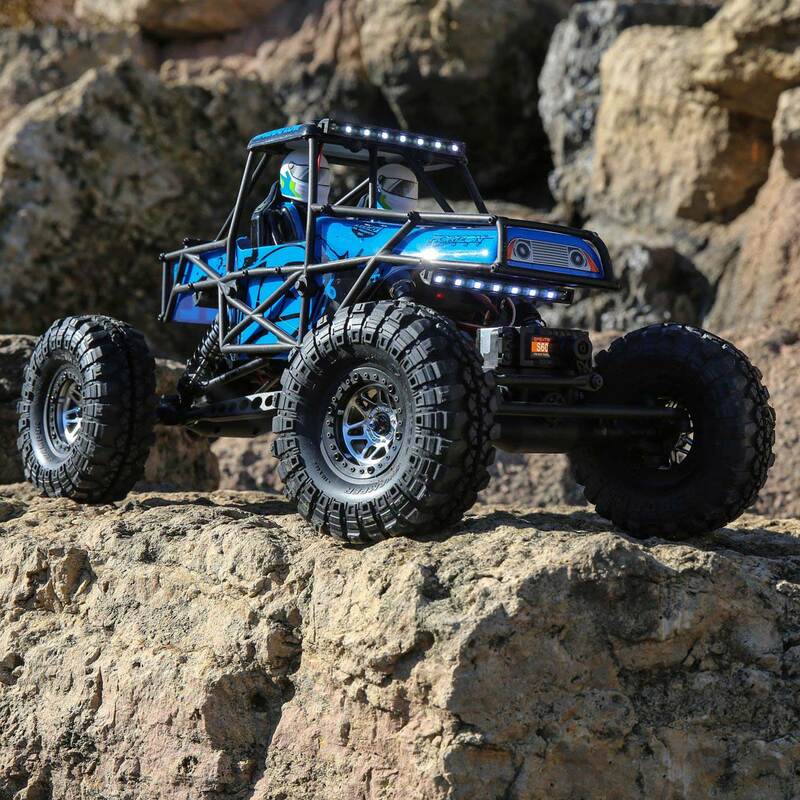 Ultra-Low Gear Ratio Direct-Drive Transmission Light and compact, the direct-drive transmission on the Night Crawler SE provides an ultra-low gear ratio for rock crawling and features metal outputs for extra durability. 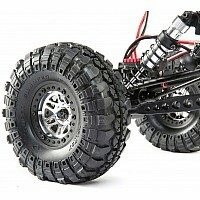 4" Adjustable Aluminum Shocks Massive 4 inch shocks provide smooth operation and maximum articulation without binding. 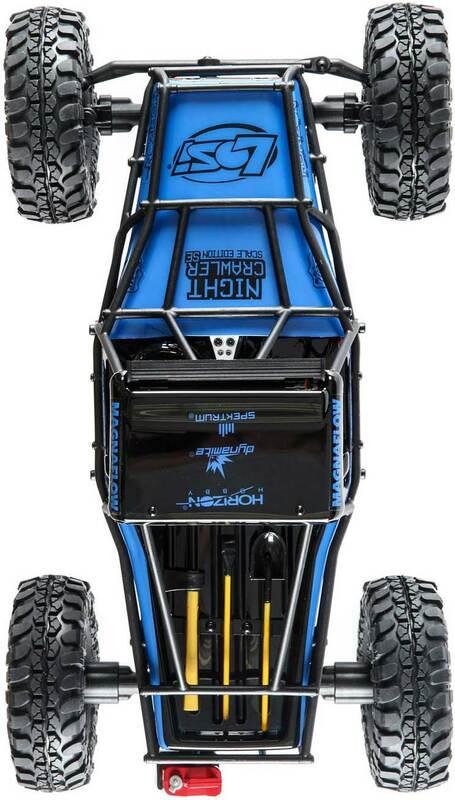 Shocks are also adjustable as well as rebuildable to ensure they maintain the desired suspension performance. 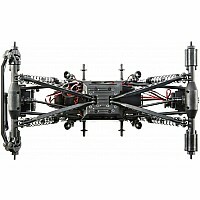 4-Link Suspension A 4-link suspension setup helps minimize rear axle swing. 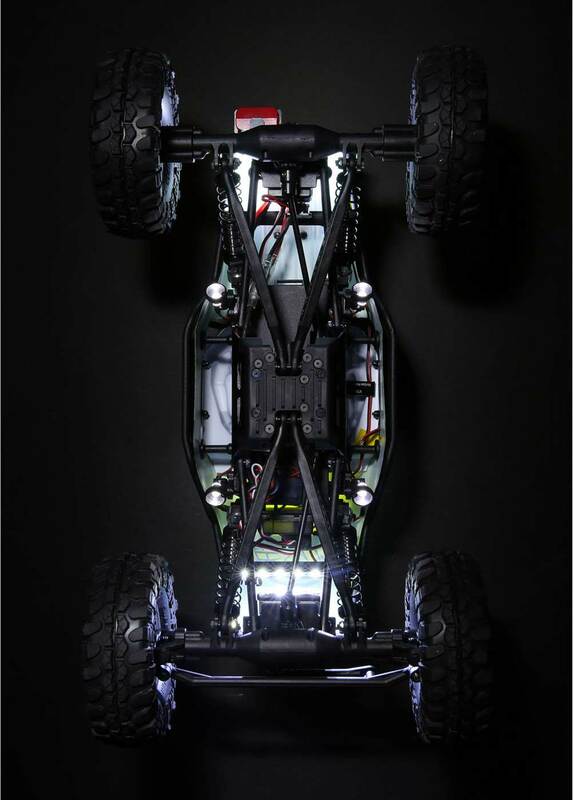 A 17-degree bend enables smooth operation throughout the suspension cycling and enables precise handling. 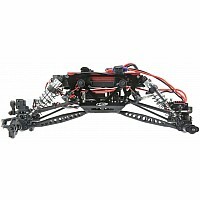 Twin Vertical Plate Chassis The Night Crawler SE electronics and motor come mounted to durable twin aluminum plate chassis that help protect against wear and tear. 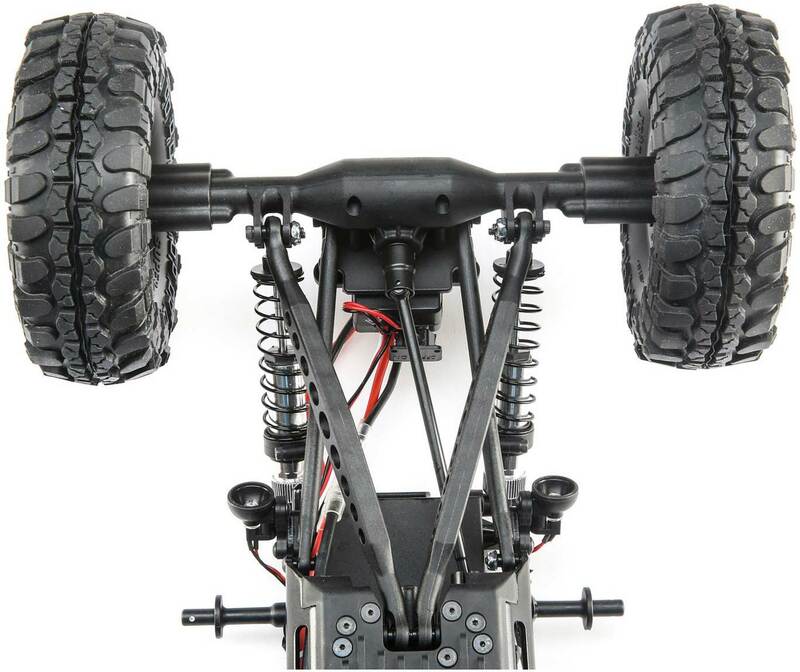 The plates are also positioned as close to the ground as possible to create a low center of gravity that compliments the crawler experience. 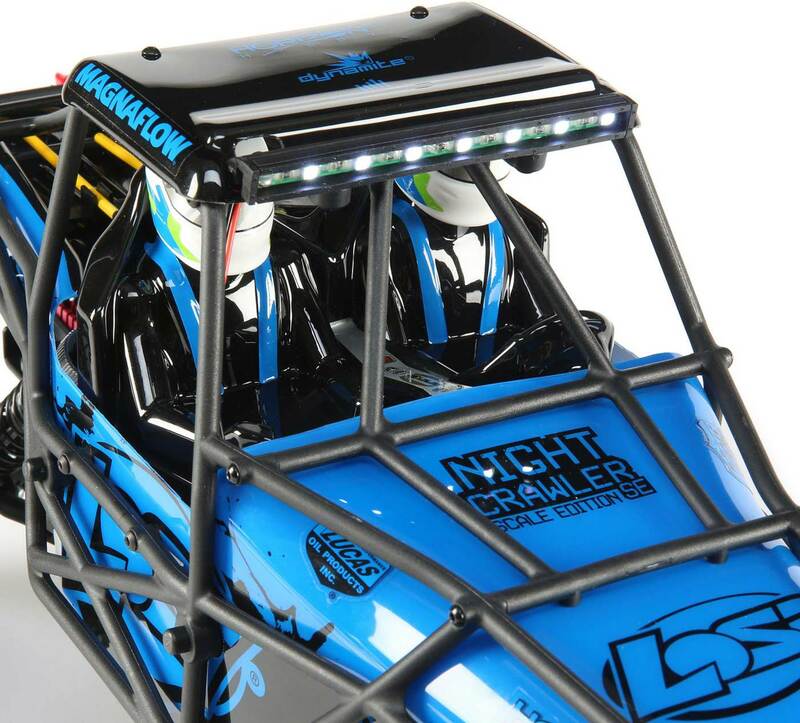 Large Battery Tray The Night Crawler SE features a battery tray that allows for multiple battery types including standard NiMH and LiPo "stick" packs. 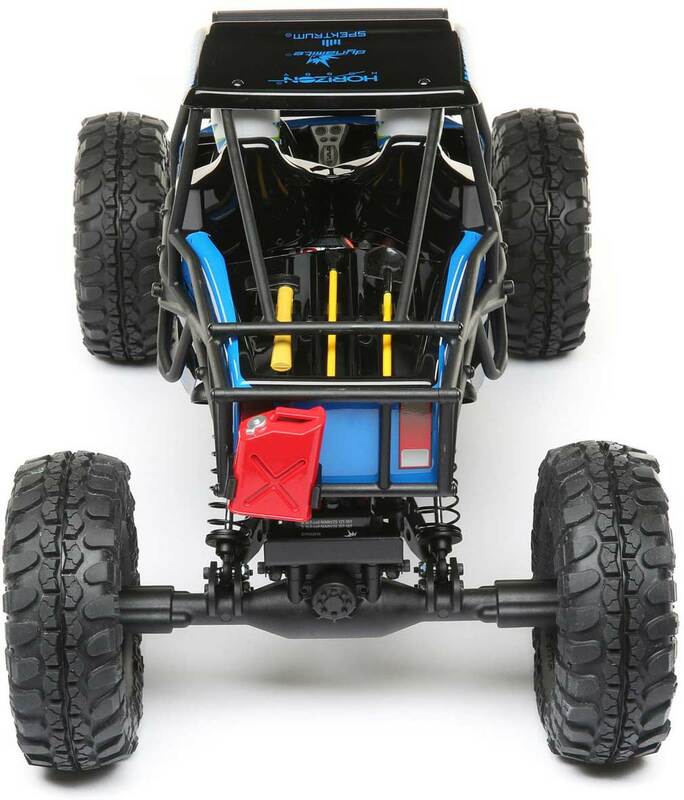 The updated tray also lowers the battery in the vehicle, providing additional space for the new interior while lowering the overall center of gravity. 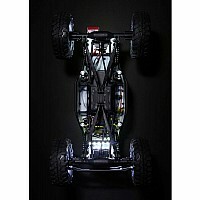 3-Piece 1.9" Beadlock Chrome Wheels True beadlock chrome wheels utilize 12mm hexes to maximize durability. 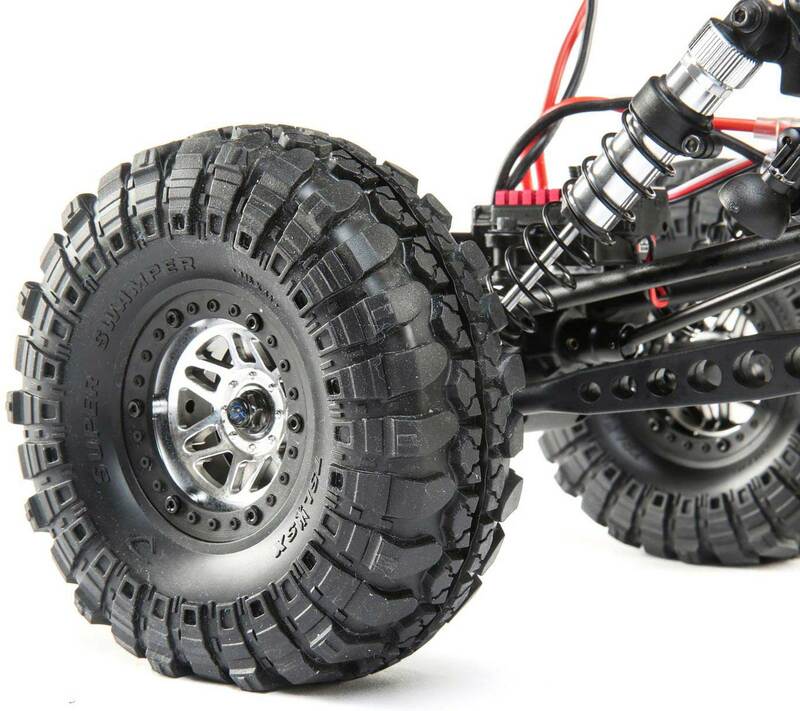 Not only do these wheels provide supreme style and performance they also won't require any glue to help hold a tire in place. 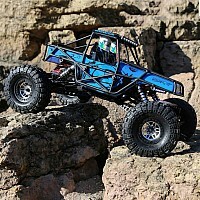 Interco TSL SX Swamper 1.9 Tires The Interco TSL SX Swamper 1.9 tires provide superior grip and add a level of realism to the crawler experience. 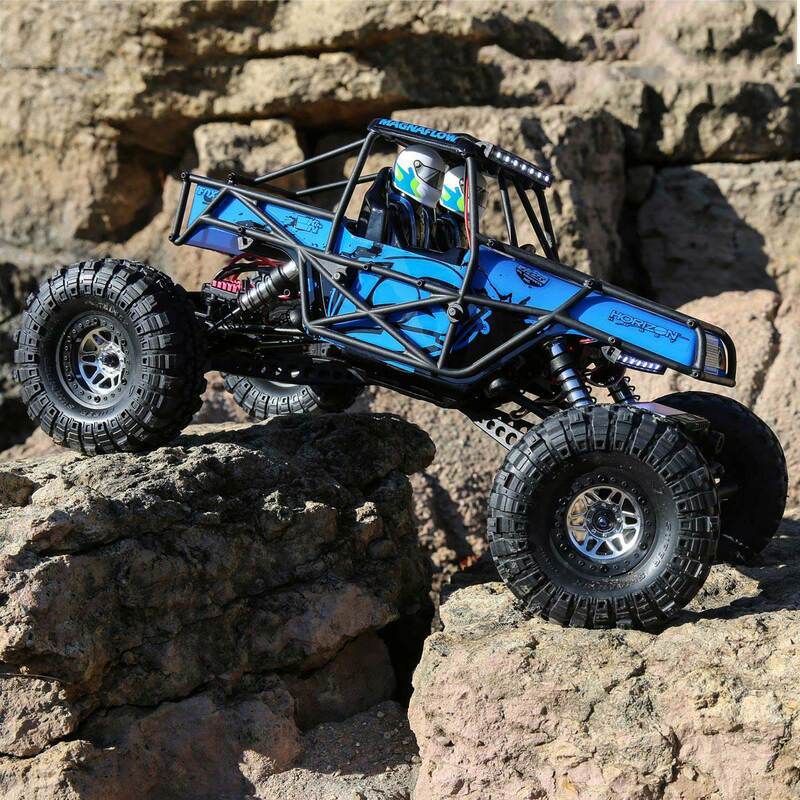 Rock Claw tires feature Losi's blue foam compound and have the grip and traction to scale through the most demanding terrain. 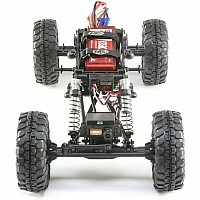 Dynamite 60A ESC The included ESC features crawler-specific programming and comes pre-wired for EC3 battery connectors. 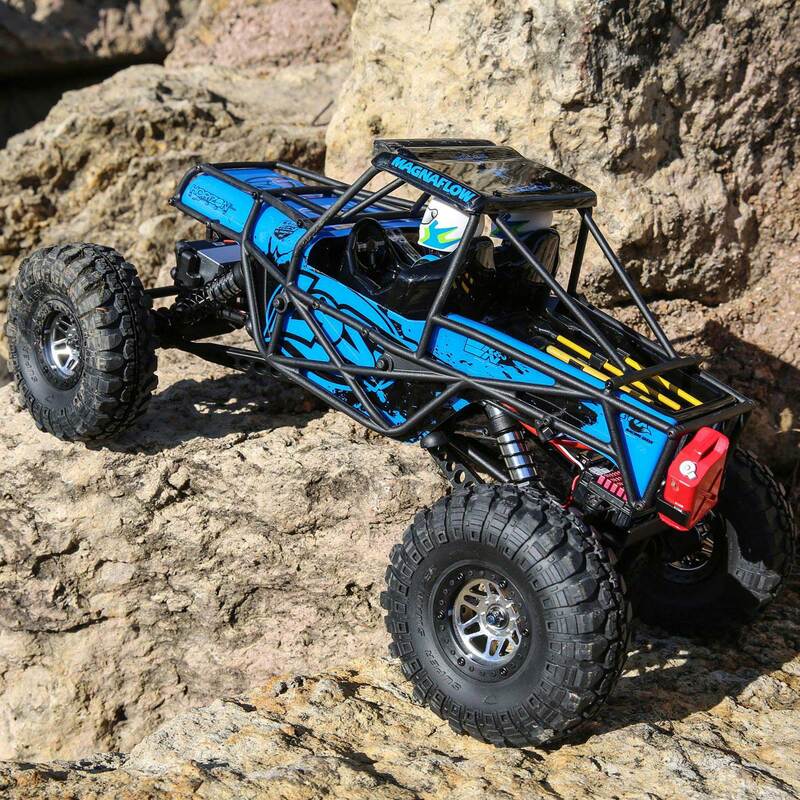 In addition to being waterproof this ESC is capable of running on both NiMH and LiPo batteries so you can maximize your rock crawling whenever you drive. 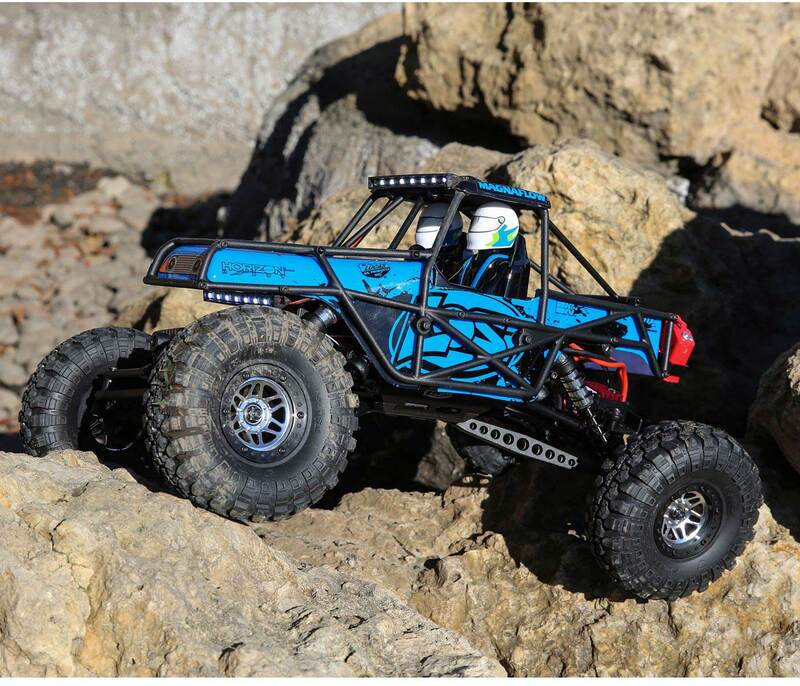 The 35T motor provides a great balance between torque and speed to get you through the toughest conditions. 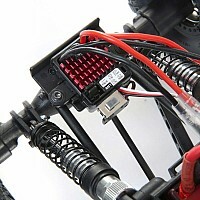 Spektrum 9KG Waterproof Metal Gear Servo The Spektrum 9KG waterproof metal gear servo provides strong, reliable steering and lets you run in any conditions, rain or shine. 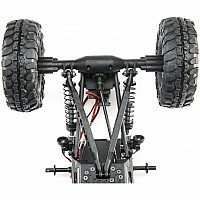 The metal gears give it the extra strength to withstand the abuse crawlers put on a servo. 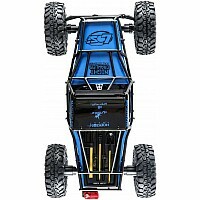 Spektrum STX2 Transmitter The STX2 transmitter comes with a three-position throttle-limiting switch that makes the Night Crawler SE easy to drive, whether you're a beginner or expert driver. 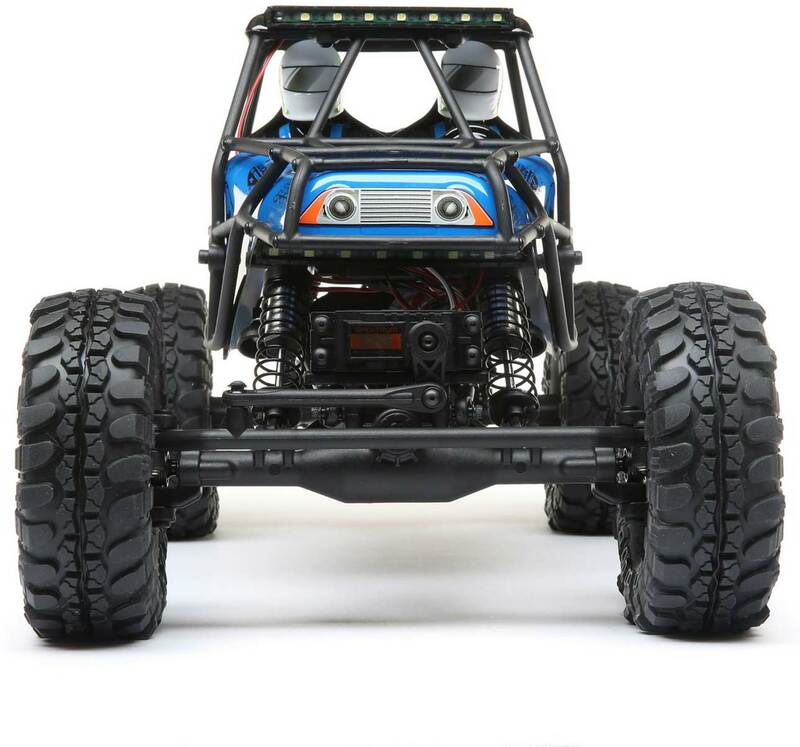 Features like throttle/steering reversing, throttle/steering travel adjust and throttle limiting are all built in. 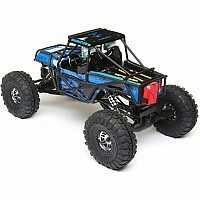 The radio system includes the SRX200 2Ch waterproof receiver.